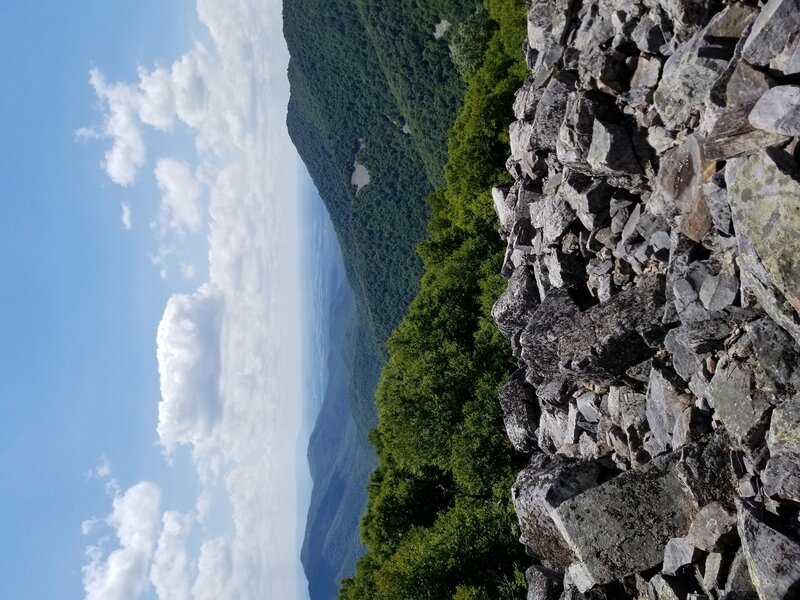 Are you looking to visit the beautiful Shenandoah National Park in Virginia? This amazing park covers over 300 square miles of the Blue Ridge Mountains. You will find so many great things to do that are exciting for both parents and kids. 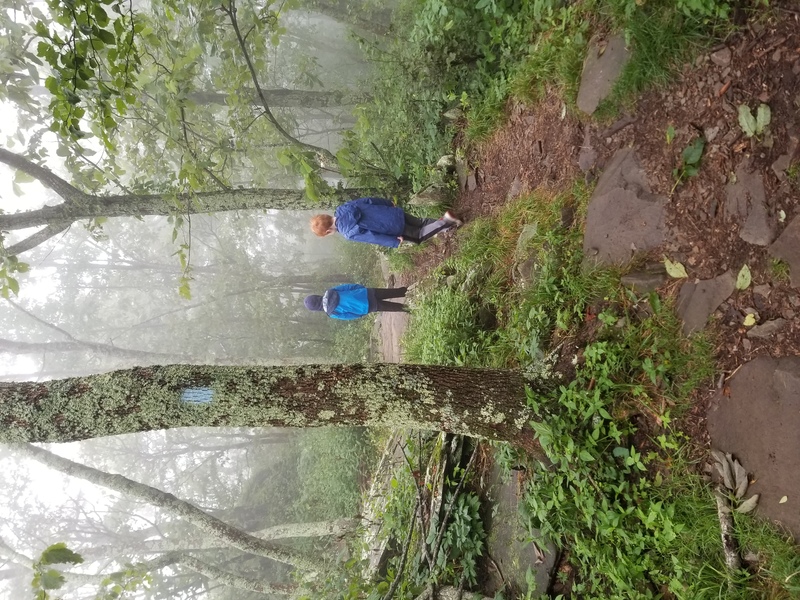 Shenandoah National Park trails are perfect for hiking with kids. 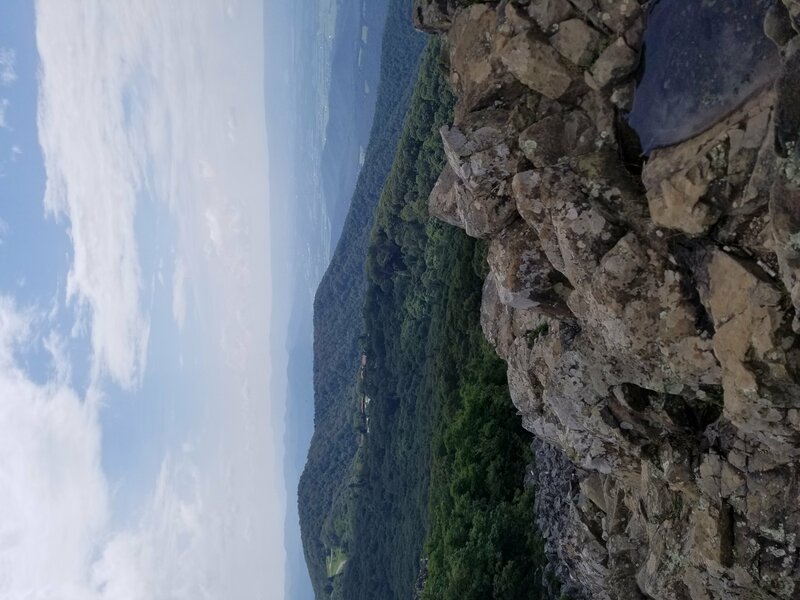 Ride along the scenic Skyline drive and look over the picture-perfect vistas. Head to the visitor centers to pick up a map and find the family adventure you’ve been looking for. 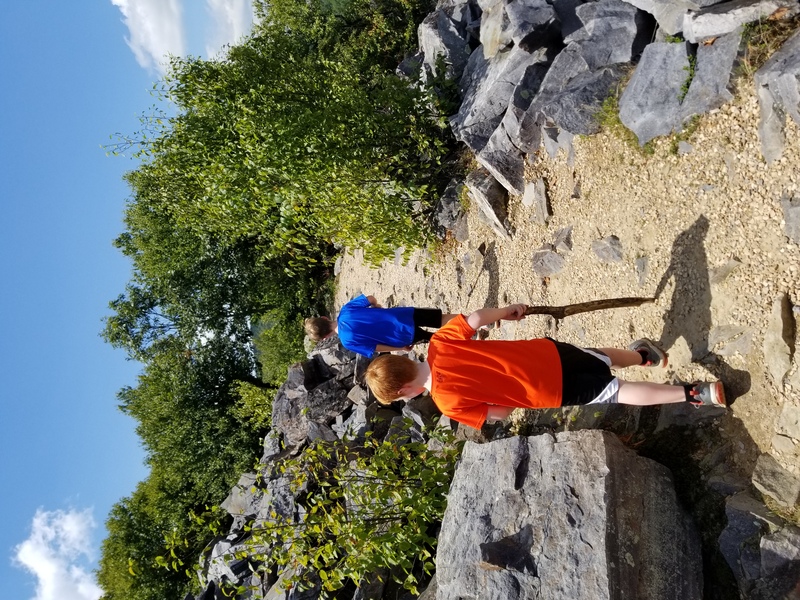 Follow along with my Shenandoah National Park Family Guide and learn all you need to know before you go. There are four main entrances to Shenandoah National Park. One is located at the northern end and one at the southern end. The other two are located off highway US 211 & US 33. This makes it pretty convenient to get to wherever you are coming from. The Entrance fee for motorists is $30 and is good for 7 days. If you have a fourth grade child, take advantage of the Every Kid in a Park program. This program allows all fourth grade children and the car they are in to get in for free. This is true for all National Parks so make sure to take lots of trips the summer before and after 4th grade. We always start out any National Park adventure at the Visitor Center. It’s a great place to grab the Shenandoah National Park Map and talk to the rangers. Find out details on the best trails, ranger programs, and animal sightings. There are bears in the area so make sure to ask about where they have been seen. We saw some from our car several times and it was pretty cool. There are two visitor centers in the National Park, the Dickey Ridge Visitor Center (mile 4.6) and Harry F. Byrd, Sr. Visitor Center (mile 51). Dickey is located at the northern entrance of the park and Byrd is in the middle of the park. We really enjoyed the Byrd Visitor Center as it had great exhibits and videos plus a view over the Big Meadow. You have to drive along Skyline Drive a little bit to get to this visitor center but it’s still a great stop. Dickey Visitor Center only has a small display and not worth stopping at unless you need to ask questions or use the bathrooms. Skyline Drive is the only road that runs through Shenandoah National Park. It runs for 105 miles on the crest of the Blue Ridge Mountains and has amazing views. To give you an idea of how long it is, driving from one end to the other can take three to four hours, and that does not even include time to stop at the visitor centers or the many overlooks. As you drive along, you will see mile markers to give you an idea of where you are along the way. Use these mile markers to match up with your map when looking for trails and rest stops. There are over 75 scenic overlooks to pull over and admire the view and take pictures. The best northern view of the park is supposed to be Range View Overlook (mile 17.1) and if you want to see the sunrise, try South River Overlook (mile 62.7). There are plenty of other great views throughout the park so you will not miss out. 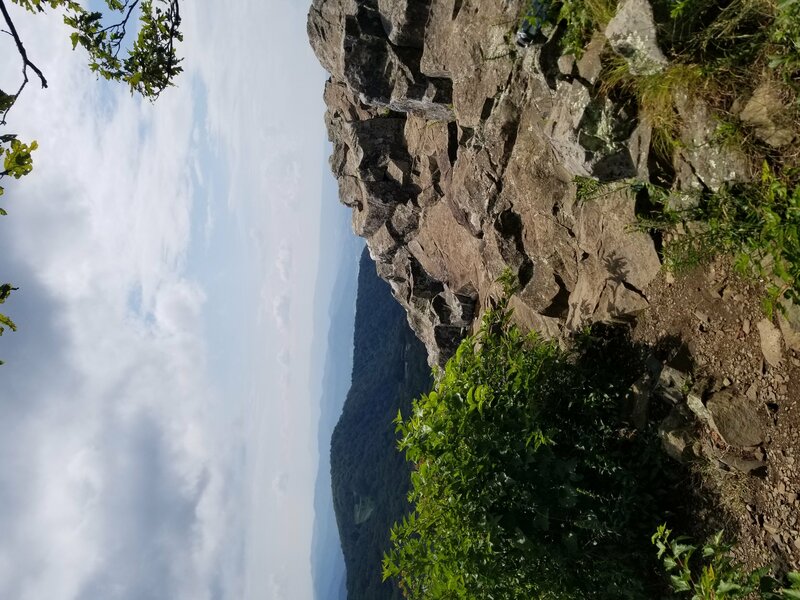 There are tons of great hikes throughout Shenandoah National Park. What to think about when you choose your trail is the ability level of your group. There is definitely a mixture of easy and hard hikes but I will break it down for you below. 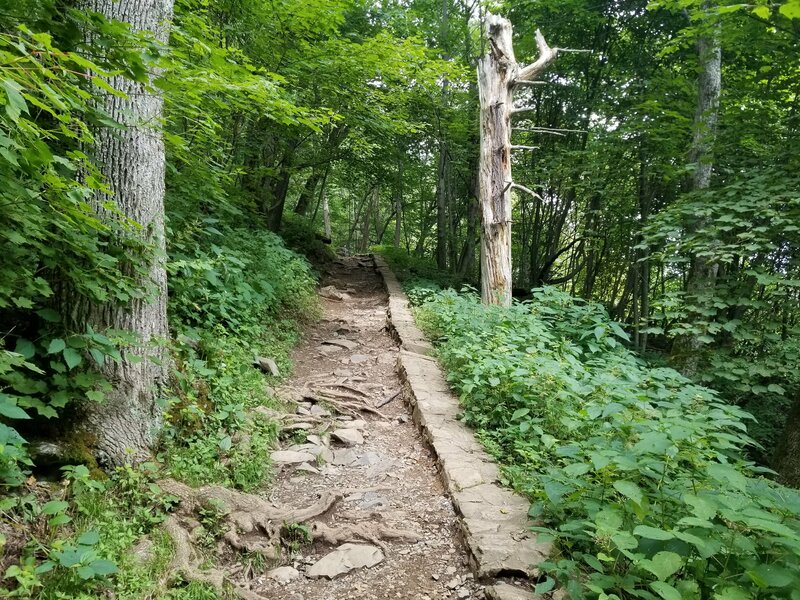 The Appalachian Trail runs through the Shenandoah National Park. This trail often crosses the parks’ trails and can get confusing. To make sure you stay on the correct trail, you will need to follow the post with metal bands indicating the trail name, direction, and distance. All trails have blazes which are marks made on trees or rocks with paint. Make sure to follow the correct color so you don’t get lost. It’s pretty easy once you see it. Find Limberlost Trail at mile marker 43. This trail is an easy 1.3 mile, fully accessible circuit trail with a crushed greenstone surface. You could use a stroller or wheelchair on this trail. Wander through tall oaks, wildflowers, and feathery ferns on this trail. The best part about Limberlost is that it is a Kid in the Parks Track Trail. This means the trail has a self guided brochure with activities and things for the kids to look for as you hike. It’s a great way to keep the kids engaged. You can pick up the free brochure at the visitor center before you go. Big Meadows is one of largest open areas in the park and is almost treeless. The area is filled with wildflowers and blueberries. There is no set path but there are footpaths created by people and animals if you wish to explore this area. You can also view an overlook of the area at the Byrd Visitor Center. They have binoculars to borrow to get a better view of wildlife in the meadow. We saw bears in this area while we were there. This is your cool waterfall hike in the park. To get to this popular hike, you will find the parking lot just north of Big Meadows and the visitor center. 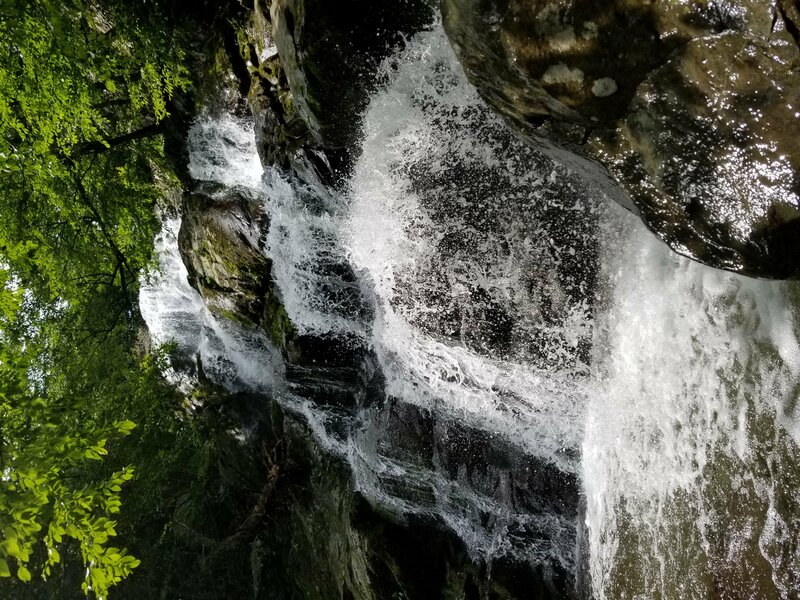 At the trail entrance, you will start hiking down to the waterfall by following a path next to a creek that will eventually turn into the falls you are about to see. This is not a stroller friendly trail. I would suggest using a backpack carrier if you have little ones. The kids can play in the rocks along the creek on the hike down. They may even see some fish swim by their feet. This path is covered in trees so you will stay cool in the summer months. When you get to the bottom of the path, you will find a huge waterfall. This is a great spot for pictures. At this point, you can continue down the trail or turn back for the hike up to the parking lot. The walk back up is harder than the walk down so keep that in mind when hiking with the kids. Above see the mix of rocky and forest trail on the Bearfence path. One has my son trying to climb a sheer rock. Bearfence Mountain Trail is a more challenging trail and better for older children. 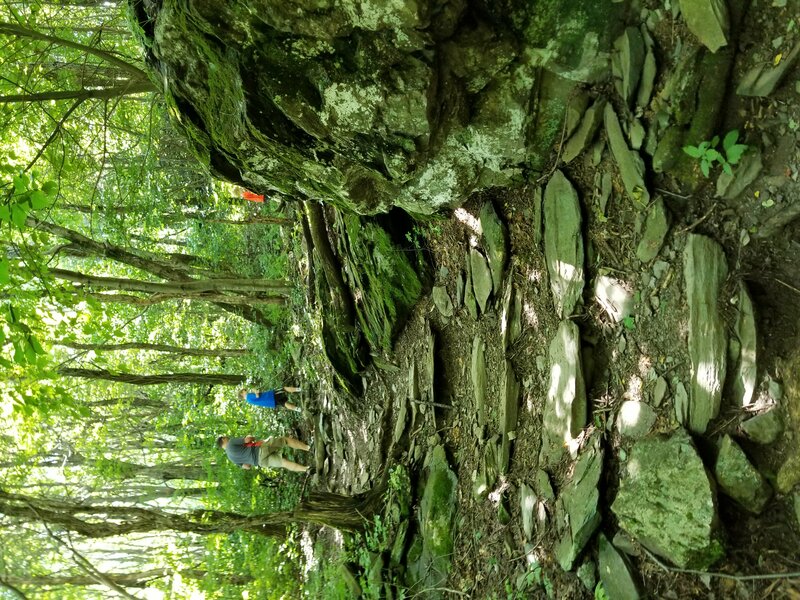 It is a rock scramble trail which means you are not on a path but climbing up big rocks and boulders for part of the hike. We hiked about halfway up the trail then it got a little too hard for our kids and we were worried they would fall. It was drizzling so the rocks were getting slippery. That being said, they had a blast climbing the rocks and loved this trail. 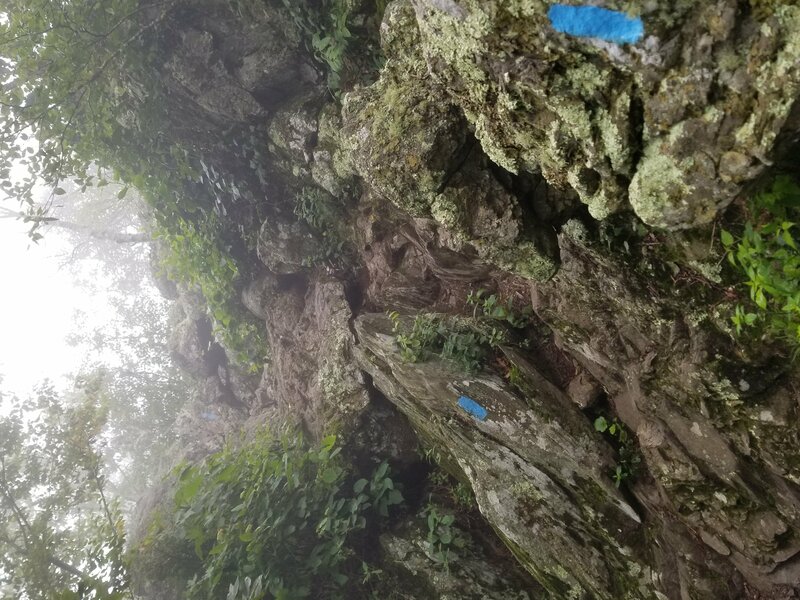 Make sure to follow the blue blaze markings so you know which way to go on the rocks. Stony Man Hike starts out and ends walking on the Appalachian Trail then splits off to the Stony Man Hike. Make sure to watch for the blue signs to follow. The tree lined path is a 1.6 mile circuit leading to stunning western facing views over the park. Once you get to the top, you will have some boulders to scramble up in order to get the best view. However, you still see a great view if you don’t want to climb the rocks but you will need to climb some to continue back down the circuit. This hike is much easier than the Bearfence Mountain Trail and my 6 year old was easily able to climb these rocks. The hike was a lot of fun for the kids and a good mix of hiking through the woods and climbing rocks. Frazier Discovery Trial is listed as an easy 1.2 mile circuit. It was a pretty easy hike but has a steep grade at the beginning of the trail that can be a little challenging. 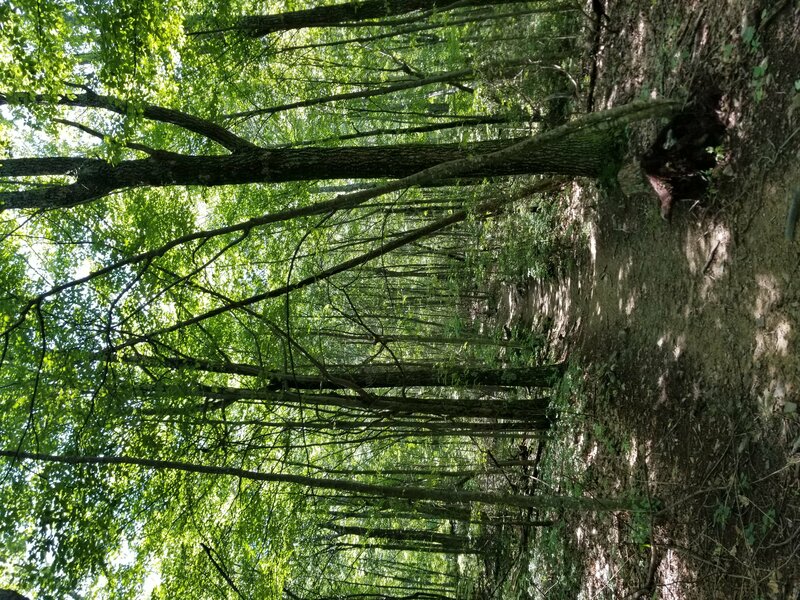 This is another trail you start off on the Appalachian Trail and then follow the post and blue signs to the Frazier Discovery Trail. Most of this hike is along paths through the woods. When you reach the top, you will be rewarded with two beautiful overlooks. This easy 1 mile circuit hike takes you up to a really cool boulder field overlooking the valley. 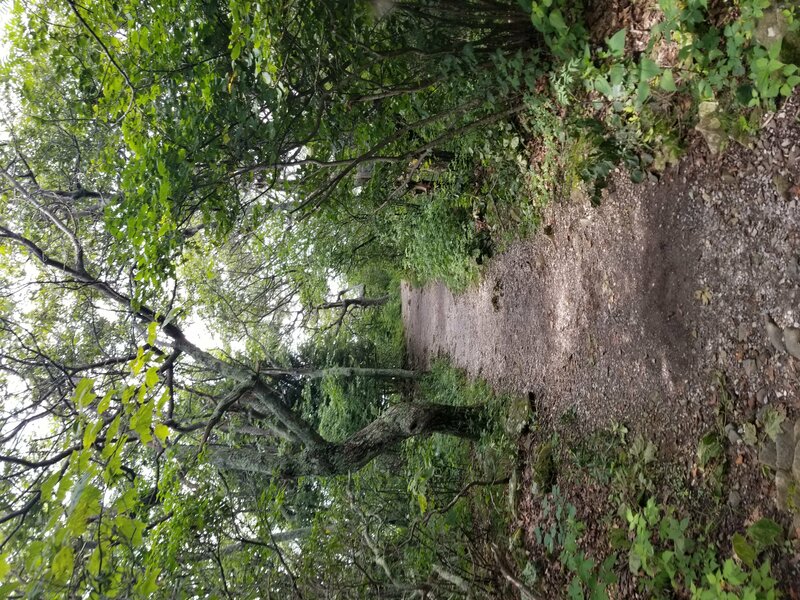 Once again, you start out on the Appalachian Trail from the parking lot and watch for the post and signs for Black Rock Summit Hike. This is another hike through the woods but the grading is not as steep which makes it an easier walk. When you get to the top, there is a path around the boulders so you don’t have to scramble up rocks to see the view. This makes it easier for younger children. Plus there are still rocks to climb if the older kids enjoy rock scrambling. Great path to do for all ages. 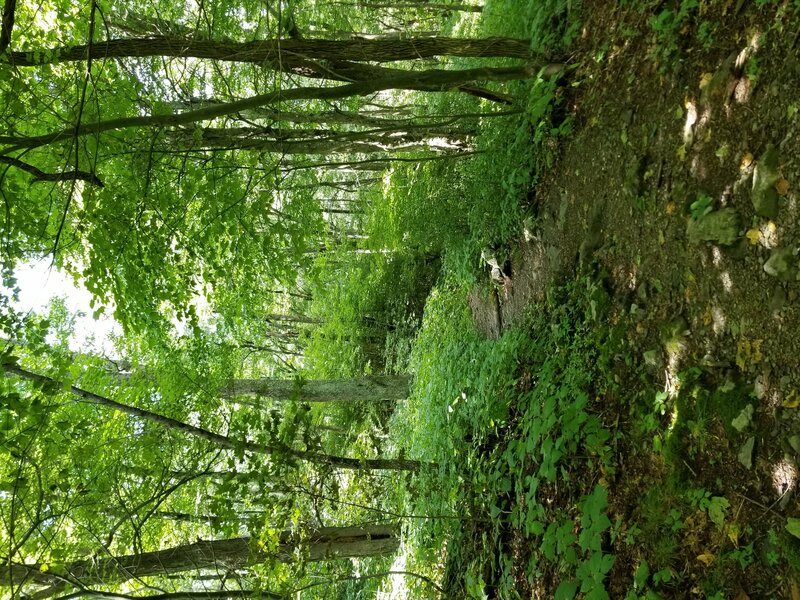 Shenandoah National Park map – Make sure to get a map of the whole park but also the individual trails when you are at the Visitor Center. Gas Station – There is one Gas Station in the Park at the Big Meadow Wayside (mile 51.2) open from Spring through Fall. I would suggest you fill up before you go but just in case, this is an option. Big Meadows Wayside (mile 51.2) – This facility has full service dining, a small grocery store, gas station, camping and hiking facilities, an ATM, and a gift shop. It is also right by the Byrd Visitor Center. You can also find food at the Loft Mountain Wayside, Skyland, and Elkwallow. Picnic Areas – If you don’t want to buy food at the park, try packing a picnic lunch. There are picnic tables set up all over the park and are designated on your map. We had our lunch at the Big Meadows Wayside picnic tables and had a great view of the Meadow. Bathroom Facilities – There are 11 Bathroom facilities scattered throughout the park. They are at each visitor center but also locations throughout the park. Your park map will list all these locations. Bugs & Ticks – There are bugs and ticks throughout the park. Make sure to wear bug spray and check for ticks on your kids when you leave the park. Water – Make sure to bring water bottles with you for hiking. You can fill them up at the dining facilities or visitor centers in between hikes. 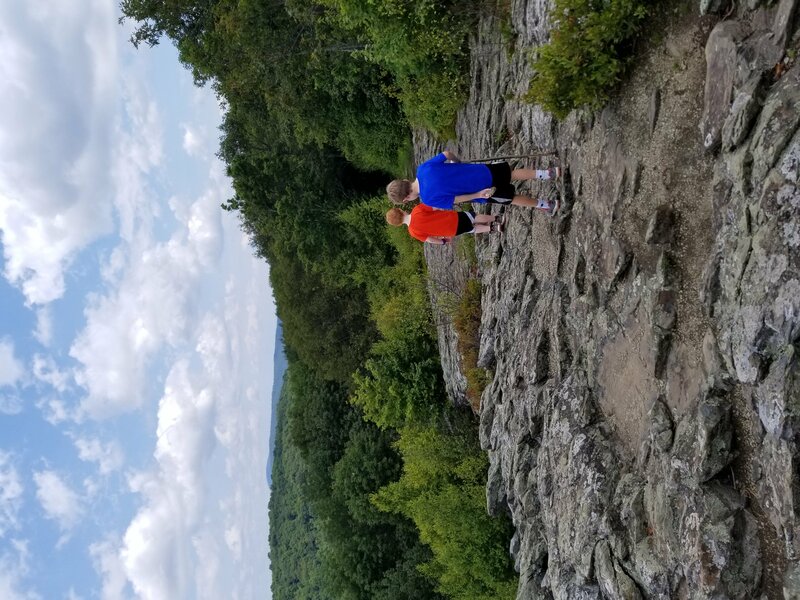 Seeing the view with kids – I packed a few snacks for the kids to eat when we reached the view on each hike. This helped encourage them to make it up and then to sit a few minutes so we could look around and enjoy the view. 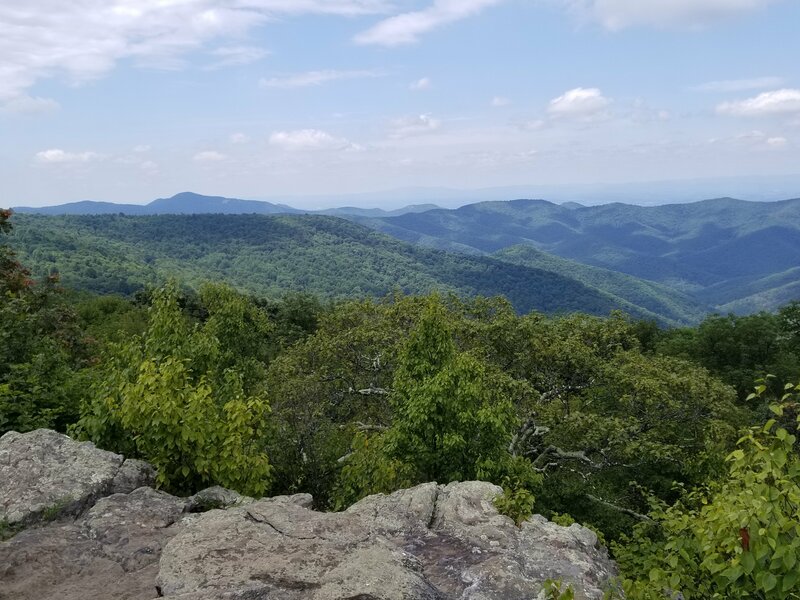 While your visiting Shenandoah National Park, you will want to check out all the great activities in the surrounding Shenandoah Valley Virginia. There are tons of fun family friendly things to do when you want a break from the National Park. 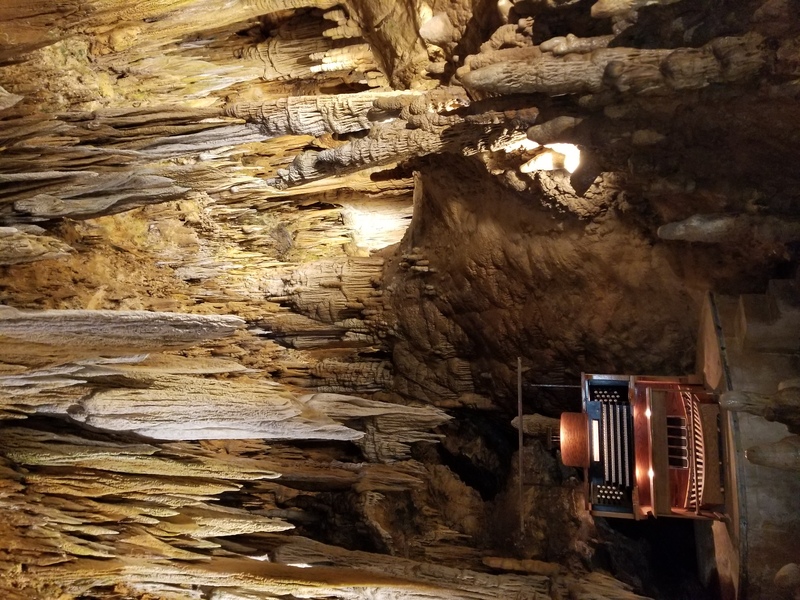 One of the highlights is the caves to explore at Luray Caverns. This is like nothing you have ever seen and a can’t miss on your visit. You will also find two great towns to visit filled with cute shops, restaurants, and historical museums. 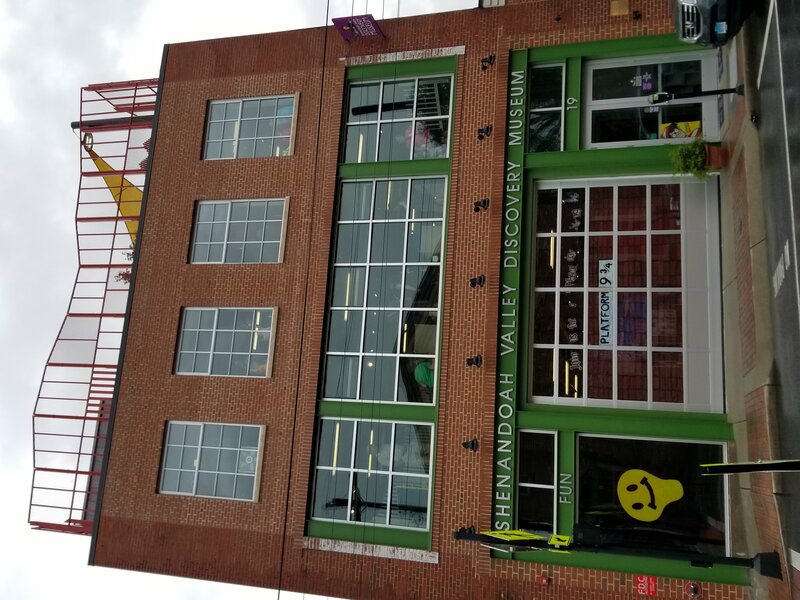 Winchester, Virginia also has a great children’s museum your kids will love. 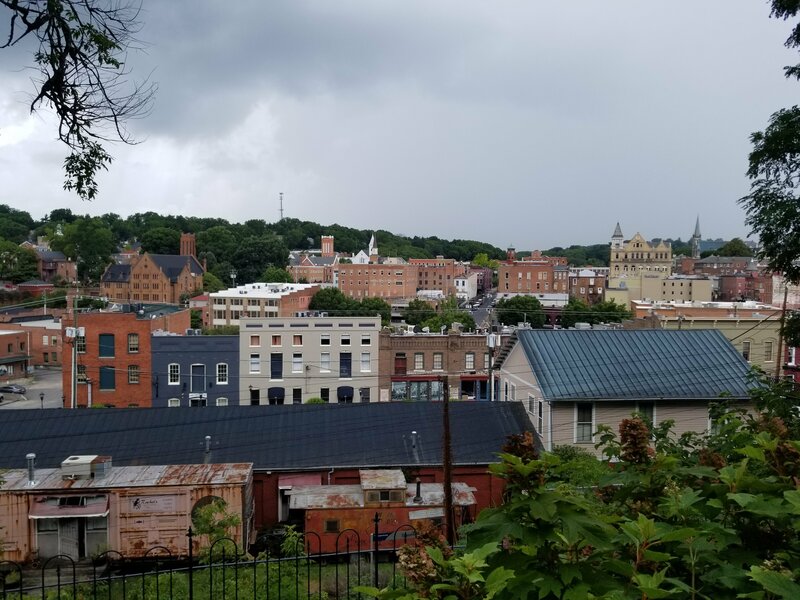 Learn all about the great activities in the area in my Ultimate Guide to Shenandoah Valley Best Things to Do with Kids. This may sound out of style but I love using a fanny pack when we hike. A backpack always seems to hurt my shoulders and back by the end of the hike. The fanny pack leaves me hands free and give me space to bring my phone, car keys, water, and snacks. Here’s one that I like, it changes into a sling to if you want it more like a purse when done hiking. When you want to hike but you have little kids, what do you do? Use a great backpack carrier and still get to see all the beautiful vistas in Shenandoah National Park! I really like this one because it has a cover for the sun, pocket to hold things in the back, and it is lightweight. Plus it has a stand so when you put it down it doesn’t fall over. Water Bottles are a must have on your hike. We like Contigo brand as they hold up to kids dropping them and are easy to drink out of while hiking. Don’t forget to bring a small snack for the kids and parents. We usually take Nature Valley Oats and Honey granola bars. There are two bars in each sleeve so we can share. Plus there is nothing to melt when we are out hiking on hot days. The kids love the sweetness from the honey. This is a great book to find more fun hikes throughout Shenandoah National Park. 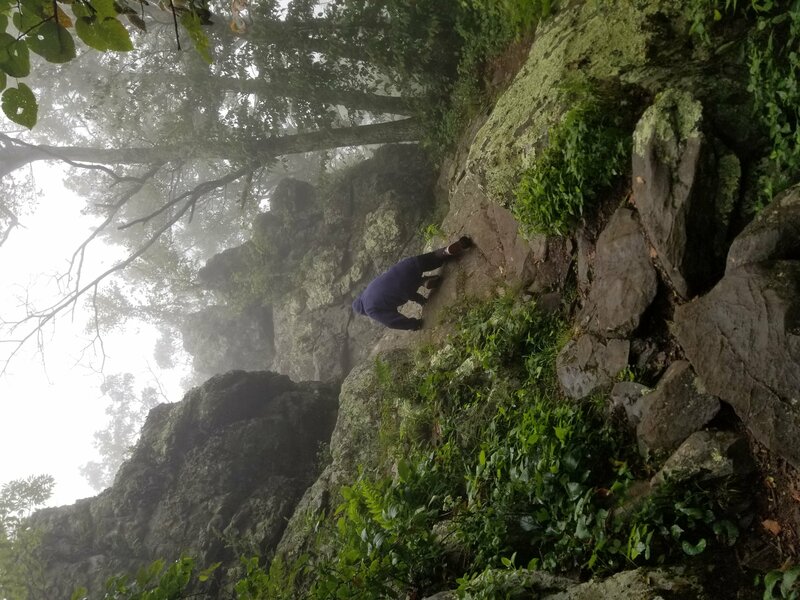 There is your complete guide to Shenandoah National Park Trails. We really enjoyed exploring this fun National Park and I am hoping your family will enjoy it just as much. Do you have any questions or tips of your own? Please leave them in the comments, I love to hear from my readers. Wondering what to pack for your family trip? Join my Happy Mom Hacks enews and get the Ultimate Family Packing List. Never forget anything to pack again. If you don’t want to miss out on any new family travel ideas, follow me on Facebook, Twitter, and Instagram. Find fun parenting jokes, easy weeknight meals, kids parties, and family travel ideas. Come join the Happy Mom Hacks Community.